1930, ’35, ’37, ’39, ’42, ’47 Cocoran Gallery, Washington, D. C.
Charles Heinz was a soft-spoken artist born in the rural town of Shelbyville, Illinois in 1885. he left grade school early, and only returned to school to study art later in his life. 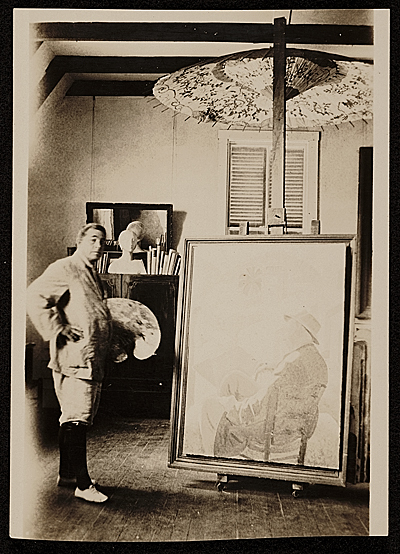 After attending the St. Louis School of Fine Art and the Academy of Fine Arts in Chicago, Heinz moved to Provincetown to study under Richard Miller at the Cape Cod School of Art. 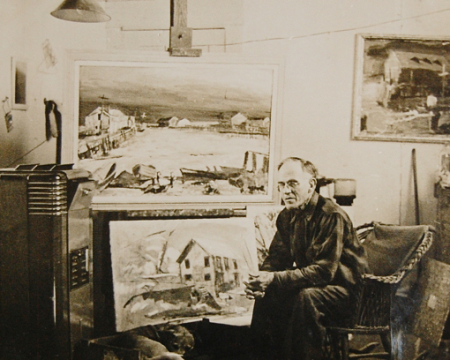 Heinz took up residence there and became a prominent figure in the Provincetown art community in the 1930s and 1940s. In addition to showing in a number of galleries, Heinz also completed works under the WPA. He died in 1953. Michiel Gloeckner was born in Germany in 1915, and was the son of a prominent art collector. At university he first pursued mathematics and art history before studying painting. His academic background would prove to be a continued influence on his work. Following WWII Gloeckner moved to New York City, and successfully showed his work in a number of galleries, including Gallery Seventy Five, Jacques Seligam Galleris and the Gallery of Contemporary Masters. 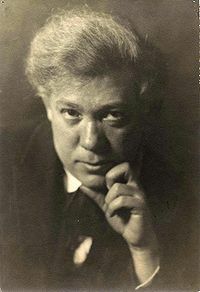 Later in life, Gloeckner withdrew from the city, choosing to live at his country home in North Cornwall, Connecticut until his death in 1989. 1991 Susan Conway Gallery, Washington D.C.
1972 Franz Bader Gallery, Washington, D.C.
1961 Corcoran Gallery of Art, Washington D.C.
James Lechay was born in New York, NY on July 5, 1907 to Russian immigrant parents. New York to study art privately with his elder brother, artist Myron Lechay, but otherwise was a self-taught artist. Lechay taught painting and drawing at the University of Iowa starting in 1945 until his retirement in 1971. 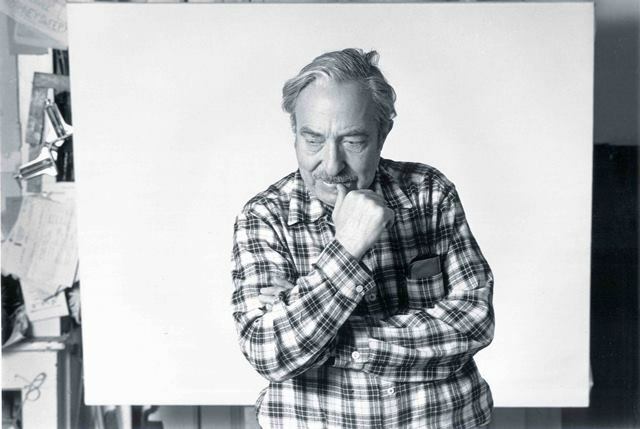 He also taught workshops at various other institutions such as Stanford, New York University, and the Skowhegan School of Painting and Sculpture. During the course of his career he received countless medals, awards, and honors for his work. Lechay exhibited with the likes of Mark Rothko, Willem de Kooning, Jules Olitski, Nathan Oliveira, Helen Frankenthaler, and Alice Neel to name only a few. He lived out his retirement in Wellfleet, MA until his death on August 11, 2001 at the age of 94. 1974 Opening exhibition, Hirshhorn Museum and Sculpture Garden, Washington, D.C.
1987–2003: Julie Heller Gallery, Provincetown, MA. 2004: Beyond Likeness, ACME Fine Art, Boston, MA; Summer Salon, ACME Fine Art, Boston, MA; Reuniting an Era: Abstract Expressionists of the 1950s, Rockford Art Museum, Rockford, IL. As a child I didn’t want to be anything. I later learned that small boys want to become engine drivers, soldiers, firemen, cowboys; but such aspirations were alien to me. I did not, however, actively want to be nothing when I grew up. The whole thing merely never occurred to me at all. People were, a house was, the canal was, the bridge was, the sky was and I was. Not becoming, not having been—anything, or something else. In moments of clarity of thought I can sustain the idea that everything on earth is nature, including that which springs forth from a man’s mind, and hand. A Franz Kline is nature as much as a zinnia. Once that idea is thought it becomes clouded by the idea that this would include a paper-flower or a plaster Jesus. I have now painted nearly 30 vases full of flowers and am still discovering many things. It is strange how completely abstract a completely true to nature painting becomes. It is probably that one is so little used to looking closely enough at the color of things that is has escaped one that a red flower, for instance, has about a dozen colors haphazardly put together—one next to the other. Every red flower (of the same red) has different reds in it and they are distributed differently and very crudely. Painted that way, reality is approached much more closely that trying to imitate the subtleties a flower contains. Those subtleties are there in the end, wonder of wonders, in the painting, and even the delicacies of texture. Nanno De Groot was one of the formative but rarely seen artists of the great era of Abstract Expressionism in Provincetown. De Groot was one of many avant-garde artists who congregated seasonally in the lower cape art colony. They were largely drawn by cheap rent, great scenery and the school of Hans Hofmann. There was also subsidy through the GI Bill in the post war era of the late 1940’s and early 1950’s. A focal point of this activity was Forum 49, a series of lectures and exhibitions during the summer of 1949 organized by Weldon Kees and others that debated the new art. 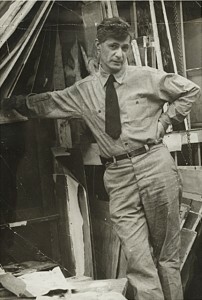 Fellow artists were Peter Busa, Fritz Bultman, Jack Tworkov and artists of the older generation like Karl Knaths, Blanche Lazzell and Edwin Dickinson. While some aspects of De Groot’s work are generic to the ideas of the time, he was a uniquely strong and gifted painter. There is wonderful facility and angst in his mark-making. In his early work the nervous black lines suggest forms or figures that make one think of European Post War artists like Dubuffet and Giacometti. The works are gestural and confined in palette and all are compelling enough to command respect and further study. Some catalogue notes establish that he was born in 1913 in Holland, served in its Navy during the war and applied for US citizenship while stationed in San Francisco in 1946. He started to make art in 1948 and hit his stride in 1950-52 when he lived in New York City. He showed in 1953 with the seminal Hansa Gallery and in 1954 with Tanager and Bertha Schaefer. In 1956 he rented Fritz Bultman’s studio in Provincetown where he moved in 1962. While in the process of building a house on Commercial Street overlooking the water he died at the age of 50 in 1963. Professor of Art and Art History at Purdue University in Indiana and a highly respected and well-loved artist with deep roots in Provincetown, Tony Vevers’ contributions to the art world and to the arts in his adopted home are legendary. His figurative and landscape paintings from the 1950s and ’60s have a simplicity and purity that marry narrative and formal eloquence. In the 1970s he began working with rope and sand, creating poetic canvases of mysterious beauty. Born in London in 1926, Tony and his sister were evacuated to the U.S. in 1940 to escape the Blitz during World War II. By 1944 Vevers was serving in the U.S. Army, in Germany, and had achieved the rank of Staff Sergeant when he was honorably discharged. After leaving the army in 1946, Tony entered Yale University on the G.I. Bill where he studied art, graduating in 1950. In the early 1950s Tony traveled to Italy to study art, and later lived in New York where he met many of the first generation Abstract Expressionist painters. In 1953 he met and married the artist, Elspeth Halvorsen. By 1954 Tony and Elspeth had established themselves in Provincetown and their two daughters were born over the next three years. 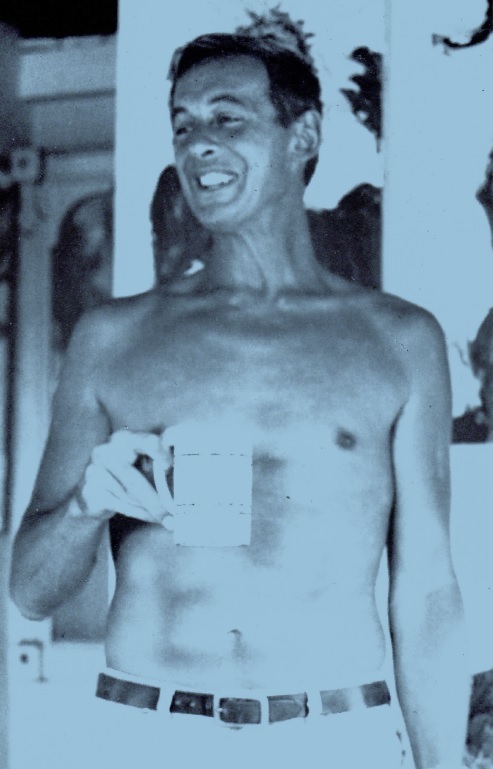 Although Vevers taught at Purdue University from 1964 to 1988, it was the summers in Provincetown that fed his creative spirit. Tony Vevers exhibited his work in over one hundred solo and group shows in New York, Boston, Provincetown and throughout the U.S. In 1977 he became one of the founding members and president of Provincetown’s legendary Long Point Gallery. His work is in the permanent collections of the Hirshhorn Museum in Washington, the Walter Chrysler Museum, the DeCordova Museum, the University of Massachusetts and many others. He received awards from the National Council on the Arts and the Walter Gutman Foundation. He served as an advisor to the Fine Arts Work Center and as a trustee and curator of the Provincetown Art Association and Museum. An early modernist painter known for abstract figurative works, especially in watercolor, Abraham Walkowitz was born in Siberia where his father was a lay rabbi and cantor, who died while ministering in China to Jewish soldiers who had been conscripted into the Russian army. Fearful of persecution and the possibility of her son being drafted into the Czar’s army when he came of age, Walkowitz’s mother decided to emigrate with her children to the United States. En route across Europe, one of her three daughters died. The remaining family traveled steerage for twenty days across the Atlantic, finally settling in the Jewish ghetto of New York City where mother and son worked long hours at a newspaper stand to support the family. As a youth, Walkowitz studied the violin and drew continuously in chalk on any surface he could find. 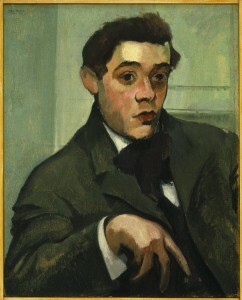 His formal art training began at age fourteen at the Artist’s Institute and continued at the National Academy of Design. His studies in life drawing, etching and painting, with concurrent study of anatomy at a Fifth Avenue hospital, resulted in precise, detailed renderings. He made drawings of ghetto life which were published in local newspapers. 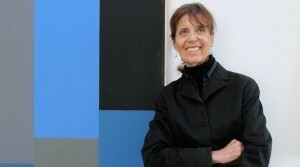 To earn money for a trip to Europe, Walkowitz taught art classes and painted signs. When his figurative work was criticized as being too subjective and realistic at a juried Academy exhibition, he perceived the criticism as narrow-minded and became all the more open to the avant-garde ideas he encountered in Europe. Another biographer, Martica Sawin, observed that while Walkowitz regarded his work prior to 1920 as the most significant period of his art, he continued to paint prolifically into the 1940s when his eyesight began to fail.